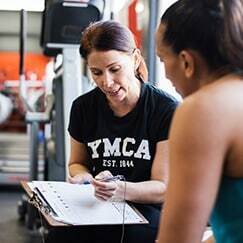 The Y-Fitness team can help you achieve your health and fitness goals for life. We make it fun and easy for you to exercise in the motivating and encouraging environment of Gisborne’s most professional gym. Come in and speak with one of our experienced and highly qualified instructors who can help you improve your lifestyle through improved fitness, get fit, burn fat, tone and build muscle. The Y-fitness instructors are always on the gym floor to help with training and provide you with that motivation to keep exercising. The Y-Fitness offers first class service, an extensive variety of equipment including over 30 cardio machines and great facilities. Get the benefits of exercising today. We have numerous classes to suit all abilities. Your fitness centre team are committed to helping you achieve health and fitness goals by creating a positive, dynamic environment focused on delivering service excellence and provide monitoring of your progress and achievements. Whether you are a casual visitor or a Y- Regular, maximise your time and get awesome results, with a personal training session with our qualified Personal Trainers. They will be available to assist, guide and motivate you along the way so you reach your targets and get the best results. Appointments are neccessary and arrangements are to be made through each trainer. Contact details available from Customer Services. Access to YMCA Gisborne Fitness Centre during opening hours.